If you are ready to purchase a property and you need to take out a mortgage, you will want to give yourself the best chance of getting approved before making an application. After all, declined applications will show on your credit report, which could prevent you from securing another mortgage for another six months. This is why it is crucial to avoid diving in. Firstly, follow the tips below to boost your chances of being accepted for a mortgage. Your credit score is one thing that lenders will look at when determining whether you accept your mortgage application. It is a good idea to access your credit report so you can find out what your score is, enabling you to see where you are going wrong and where you are getting it right. There are many different ways you can improve your credit report, for example, by paying off debt, ensuring all of your personal details are up to date, and allowing your credit accounts to mature so that the average age of your accounts is over 33 months. You are going to increase your chances of being accepted if you are able to save a bigger deposit. 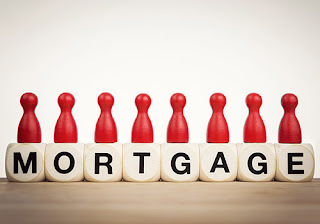 You may only need to save a little bit extra to secure a mortgage, as most mortgage lenders work to deposit bands. Another way to increase your chances of securing a mortgage is to opt for a lower priced property. This will mean that you do not require such a substantial mortgage, which is bound to give you a greater chance of being accepted. You can view our listings to see properties based on their price, making it easy for you to find something that fits into your budget. Lenders are going to ask for a lot of information regarding your outgoings. It is likely that they will also want to see your bank statements to make sure that what you have told them is the truth. Because of this, it is worth tightening your belt in the months before making your application. Avoid blowing loads of money in a nightclub or spending your weekends in the casino. This isn’t going to look very good in the lender’s eyes. Let’s end with an obvious point, but the most important point of them all: you need to pay your bills on time. Missed payments can stay on your credit file for the next six years, which can severely harm your chances of being approved for a mortgage. If you follow the steps that have been mentioned above, you will give yourself a much greater chance of being accepted for the mortgage that you are going for. From saving for a bigger deposit to improving your credit score, make sure you work on all of the steps that have bee provided to avoid disappointment.